Wayne Bennett is a dentist by profession (retired in 2014) and has been a professional photographer for the past 25 years, specializing in the area of nature photography. The Great American Photography Weekends, Bill Fortney in particular, was the spark that ignited his turnaround in photography. He enjoyed an association of about 15 years with GAPW and has had the opportunity to learn from and teach with the best of the best in nature photography, including, John Shaw, Rod Planck, Pat O’Hara, Art Wolfe, Bryan Peterson and of course Bill Fortney. After GAPW, Wayne taught photography at Disney Institute in Orlando, FL. He has/continues to shoot stock for Sharpshooters, Corbis and Alamy Agencies and has been published in a number of publications, including Outdoor Photographer. He continues to teach photography through seminar and workshops. A few years ago Wayne also started WMB Productions, a company, which brings the biggest names in photography to the Orlando area for seminars and workshops. He has had photographers such as Bill Fortney, Adam Jones, Bryan Peterson, Rick Sammon, Tony Sweet, RC Concepcion from NAPP, Tim Grey, Bob Krist and Rob Sheppard (editor of Outdoor Photographer magazine). Wayne has travelled extensively in the United States and around the world. He has photographed on all continents except Antarctica. Wayne is proud to be a charter member of NANPA and was the second president of the Orlando Camera Club. The OrlandoCameraClub’s image of the year (in its annual competition) is named after Wayne, The Wayne Bennett Award. Wayne has recently had a specialty filter from Singh-Ray Filters named after him, the WayneBennettSmokyVisionPolarizer. Singh-Ray makes the finest photographic filters in the world. Additional note: Nine members of the Orlando Camera club, including Wayne, submitted a portfolio of 20 images (selected from over 350 submitted) to the Natures Best Magazines Windland Smith Rice International Photo Competition and won! There were 85 camera clubs worldwide that submitted portfolios to the competition. A composite of 9 of the images was hanging in the Smithsonian Museum of Natural History in Washington, DC until May, 2009. 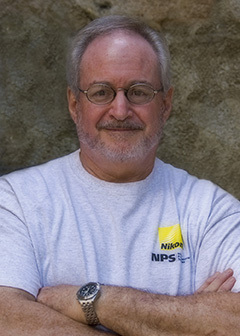 Wayne had an image selected as Highly Honored in the 2009 Natures Best Contest. That image was displayed at the Smithsonian until May, 2010. A new product and the brainchild of Wayne and good friend Ken Blye is the PUFFIN PAD. The Puffin Pad has just been introduced to the photo marketplace. It is a light_ weight alternative to the bean bag. Check it out here for more information and purchase options. © All images are copyrighted by Wayne Bennett and may not be copied, modified, or reproduced without the written consent of the artist.